Partner with us today to implement, recruit and manage your disability parking solution! 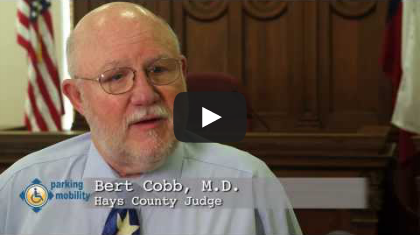 Watch the video above to discover why Hays County has adopted and endorsed our program. Rather sign up for our Newsletter? Don't worry, we believe in privacy, not spamming. The solution to accessible parking abuse is much more than just technology, and it's much more than just enforcement. You have to go deeper; it takes a grass-roots effort. Parking Mobility recruits, trains and manages your citizen volunteers to help solve the universal problem of accessible parking abuse on the local level. There is no better method to solving a problem than engaging your community on a grass-roots level to have them become a part of the solution. We use as a reporting tool one of the most common items that nearly everyone carries with them, everywhere: a smartphone. Parking Mobility makes sense because [it's] a program that doesn't focus on enforcements as much as it does on education. From the recruitment of volunteers, to the education of the individuals who have illegally used accessible parking, we manage nearly all aspects of your program. We deliver a plug-n-play solution to your accessible parking problems. 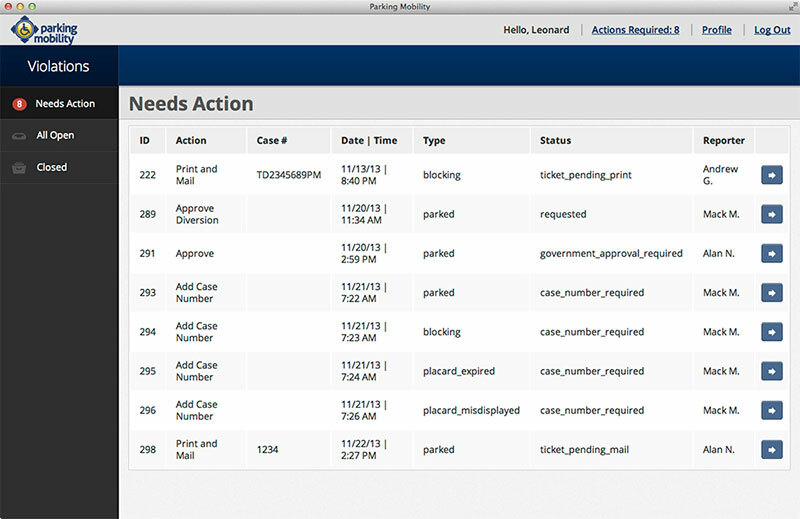 Our system is designed to seamlessly integrate into your existing workflow and is modern, performant and user friendly. Parking Mobility is a flexible program … There's not that much required of the government to make Parking Mobility work. Parking Mobility was developed and is operated by the disability community. Our motive is education, not profit. Our 501(c)(3) non-profit mission is to provide the solution to the #1 issue faced by the disability community every day. We do this through education and engaging your community's participation. Enforcement is essential, but education changes behavior.